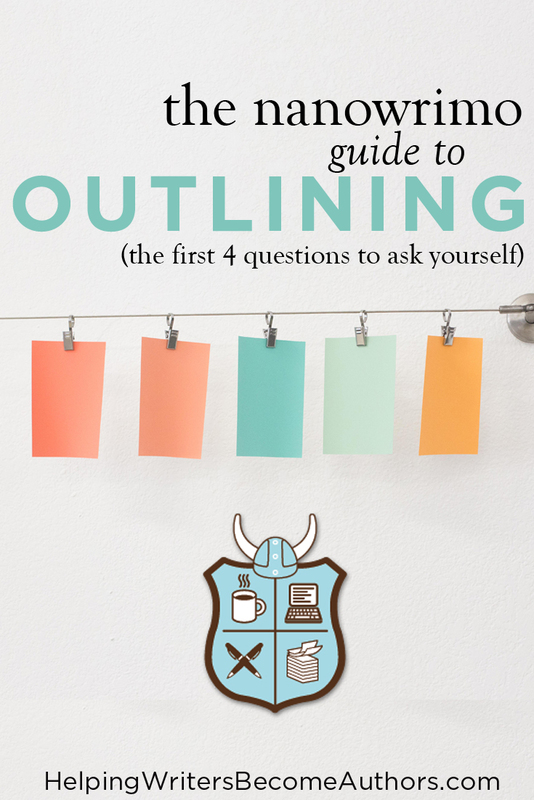 “Where do you start your outline?” is a question I often receive. Now, if the obvious answer “start at the beginning” were, in fact, the right answer, no one would be asking this. The reason writers ask this question is because, when properly approached, outlines are anything but linear—which can make the “beginning” rather hard to identify. Whether you’re needing to figure out how to outline for NaNoWriMo next month (in which writers commit to writing 50,000 words in 30 days)—or whether you simply want to notch up your outlining skills to the next level—you’re in the right place. Welcome to Part 2 of my series about the advanced techniques of how to outline your novel in a creative and nurturing way, which will help you write better stories and become a better writer in general. Back to our opening question: Where should you start your outline? Honestly, the idea of starting at the linear beginning is downright impossible at this early stage in the process. Why? Because you don’t yet know what your story’s linear beginning will be. But how do you know that’s the right beginning for your story? How do you know this is the beginning that will best nurture your story’s theme? The beginning that will properly set up the main conflict? The beginning that will introduce your protagonist in the prime characteristic moment? The beginning that will tie into that perfect ending scene? Short answer: you don’t know. What I want you to do for the time being is just forget all about linearity. Forget all about the “beginning” scene. Instead, you’re going to startyour outline by stepping back from the nitty-gritty micro-picture of the scene list. You’re going to start your outline by looking at your story’s bigpicture. Your outline’s first job is to help you discover your story’s skeleton. What themes are inherent to this conflict? Where will the story end? What obstacles will arise between the protagonist and that end point? Only once you know the answers to these big-picture questions can you start homing in on the more obvious “beginning” of the outline’s first scene (which we’re not even going to discuss until the very last installment in this series). As I mentioned in last week’s post on the basic how and why of outlining, what I’m going to be sharing in this series is essentially the “advanced” skill set of outlining. 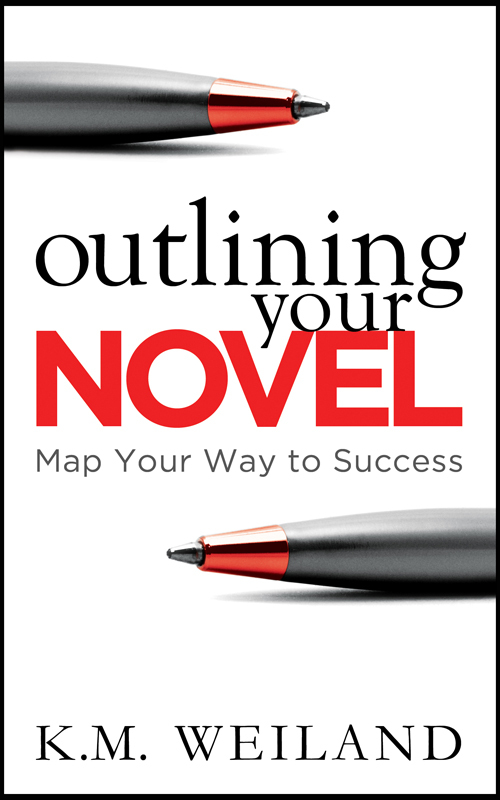 I shared the basic steps I use to brainstorm and create outlines in Outlining Your Novel and the Outlining Your Novel Workbook. I’ll be touching on all of those steps in this series, but only to use them as a launch pad for more in-depth techniques and explorations. For those who haven’t yet read the book (or haven’t read it in a while), let’s do a quick refresher of the basics we’ll be building off today. The first step in the outlining process is what I call “General Sketches.” This is the big-picture part of the outline, where you’re throwing all your ideas onto the page, seeing what sticks, and working your way through the plot holes and salient questions until you can see a whole story emerge. Although you will undoubtedly be coming up with individual scene ideas, this section of the outline is not a scene outline. This is the figure-out-what-your-story-and-characters-are-about part of the outline. It’s very freewheeling, very stream-of-conscious—and, as a result, is one of the most exuberant parts of the entire process. The vast majority of this series will be dealing with questions you need to be asking yourself during the General Sketches segment of your outline. Whether you’ve only just come up with a new idea for your story or whether the story has been brewing in the back of your head for several years (as mine almost always do), you will always start out knowing something about the story. Some of these tidbits will be concrete ideas; others will be only vague and distant impressions. Start your outline by writing down everything you already know about the story. Clear out your brain. Put it all on paper in a short list, so you can evaluate what you already have. Now comes the fun part. In writing down what you know about your story, you’re also going to discover how much you don’t know. The protagonists fall in love. Yay! But how do they fall in love? How do they get from Point A to Point B? The female protagonist has a horrific facial scar that makes her live like a hermit. Interesting. But why? How did she get it? And how will she overcome her shame and reenter the world? These are all questions you may be prompted to ask. So start asking! And let your imagination run riot in coming up with delicious possibilities. To help yourself think outside the box in finding the right answers for your story, you’re going to use the following three “what” questions to guide you in looking at things from a different angle. You will use these three techniques over and over throughout the entire process of the General Sketches, until you have satisfactorily filled in all your story’s blanks. As you explore the exciting terra incognita of your story’s General Sketches, you will also be asking yourself many “smaller,” more specific questions to help you narrow the focus of your story and find the perfect perspective and themes to bring it to life in a cohesive and powerful narrative. 1. What General Conflict Does Your Premise Provide? Once you understand enough about your story to write its premise sentence, take a step back and examine the ramifications of that premise. What main conflict is at the heart of this premise? 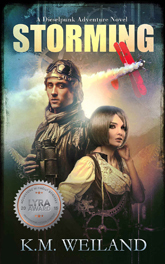 After an eccentric woman falls out of the sky onto his biplane (situation), an irresponsible barnstormer (protagonist) must help her (objective) prevent a pirate dirigible with a weather machine (opponent) from wreaking havoc (conflict) on the Nebraska hometown he fled nine years ago. Even when this was all I knew about the story, I knew what the general shape of the main conflict would be: a biplane pilot taking on sky pirates. That was the conflict the story had to convey—and thus the conflict I needed to create in the outline. Understanding your story’s inherent conflict is the first kernel of information you need to start digging your way into the heart of that story. You must find the primary conflict before you can answer any other important questions about your story. 2. Who or What Is Your Story’s Antagonistic Force? Once you’ve discovered your story’s main conflict, your next step is a surprisingly non-intuitive one: find your antagonist. As I wrote in a recent post on this subject, this question and its early placement in the outlining process was a groundbreaking change in my approach to storytelling. Like most authors, I’ve started every single outline I’ve ever written (up until the one I’m currently writing for my portal fantasy sequel Dreambreaker) with the protagonist. Why not, right? 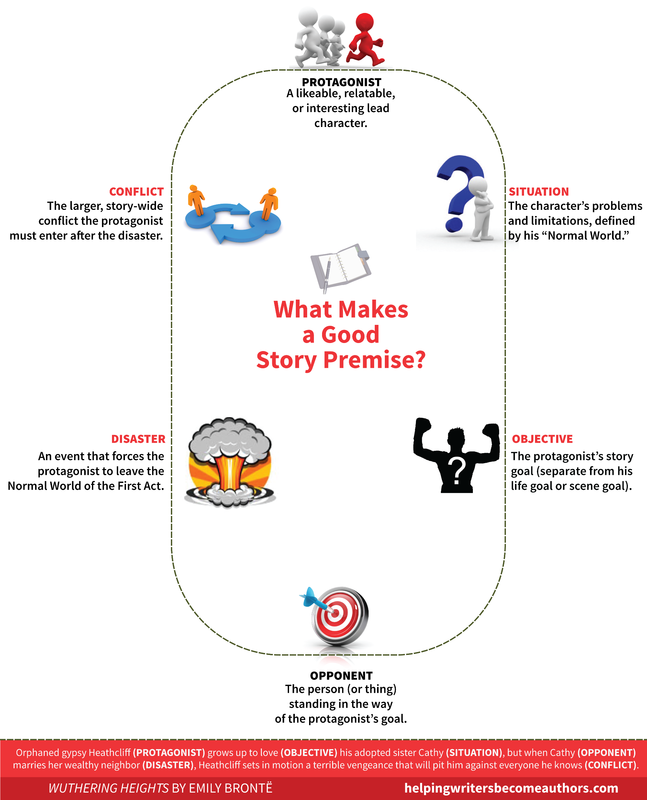 Your protagonist is a completely obvious entry point to your story. But as I realized just this year, when you start with your protagonist and his goals, the antagonistic force too often becomes an afterthought. As a result, the conflict between the protagonist and antagonist becomes fragmented and does not drive the plot in a cohesive, integral way. With this latest outline, I started by exploring the antagonistic forces in my story. What did they want? Once I knew that, I could see more clearly how, where, and why my protagonist would run afoul of them. 1. What does each of your antagonists want (goal)? 2. Why does your antagonist want this (motive)? 3. How will he go about obtaining his goal (plan)? Take your time exploring your antagonists. You may be eager to get to the good stuff (aka your protagonist) right away. But your antagonists will provide the foundation for your entire story. The stronger your understanding of the antagonistic forces that oppose your protagonist, the more adeptly you will be able to craft a conflict that creates the most meaningful, realistic, and symbolically rich journey for your protagonist. 3. What Are Your Protagonist’s Goals and Motivations? Once you’ve completed your discovery of your antagonistic force(s), you’re now ready to devote your attention to the character(s) you really care about: your protagonist. Because you started this part of the outline with your premise sentence and because you now understand what your antagonists are all about, independent of their impending relationship to your protagonist, you will already have at least a sense of who your protagonist is and what he wants. Now it’s time to dig deeper and find the single most important aspect of your protagonist’s role within the plot: his goal—and the motivation that drives it. Here’s a surprising revelation: it’s actually shockingly easy to toss a charming protagonist into the midst of hellish conflict without giving him a solid story goal. The result, of course, is a charming protagonist who doesn’t actually do much other than endure his hell. He’s passive, not proactive. And the story inevitably stalls out as a result. Rather, they both need to have decidedly specific and personal goals. When these goals end up intersecting at the First Plot Point, then the protagonist and antagonist become obstacles to one another’s goals—and the games begin! But that’s never how the story starts. Let’s say your evil antagonist wants to take over the planet. Your protagonist will eventually be committed to stopping him. But not at first. At first, he has another, more specific, more personal goal—like be a good father to his motherless daughter. Only when the antagonist and his plans for world dominion get in the way of that personal goal will the protagonist move up the conflict ladder into direct opposition to the antagonist. This personal goal will provide the backbone for the conflict, the theme, and the character himself. Without this personal goal, you lose all of that. Rule #2: The protagonist should have selfish reasons for desiring his goal. Saving the planet just because that’s the nice to do? Sorry, not the stuff of great stories or great character development. Even if you’re writing the consummate hero, look deeper. Find the beating heart of the person inside the persona. What are his deeply personal, painful, perhaps even downright wrong reasons for his choices? This question is amazing at opening up all kinds of juicy possibilities for your character’s motivation. Particularly if he’s driven by the wrong reason, he becomes vastly more interesting and vastly more open to deeper character arcs. Rule #3: The protagonist’s desire should be inherently related to the thematic question at the heart of his character arc. Character arc and theme both hinge on the inner conflict between a Lie and a Truth—something the character thinks he Wants in opposition to what he really Needs. This is always the true story you’re telling, which will then be manifested and proven through the visual metaphor of the story’s outer conflict. In next week’s post, we’re going to talk more about this and its critical balancing act within your story. For now, suffice it that your protagonist’s desire/goal/motive will only work within your story if they are first inherent to his inner struggle. 4. What Secrets Are Your Characters Hiding? Once you have a handle on your overall conflict and your antagonist’s and protagonist’s goals within that conflict, your final preliminary step in completing your story’s skeleton is to step back and take a look at every single character you already know will exist within the story. Look at each character and ask: What are they hiding? Secrets are the life’s blood of fiction. They provide the hooks that keep readers reading, the reveals that create plot beats and turning points, and the catalysts for character growth—both personally and within relationships. Some of your story’s secrets you will discover organically as you finish plotting your outline and again as you are writing your first draft. But secrets are too important an aspect of your story to leave entirely up to your subconscious. Take this opportunity to examine the obvious secrets your characters present right now. Some of these secrets will be obvious, some will be things you’ll brainstorm on the spot, and perhaps most importantly, some of them will be things you wouldn’t have otherwise thought to have your characters keep secret. Look for anything and everything you might be able to use later on in your story to create suspense and turning points. For now, all you have to do is make a list of each character’s potential secrets. You can then refer to this list throughout the rest of the outlining process as a shortcut to creating reveals both large and small. When approaching the outlining process as a period of discovery, success is found in using the right questions to guide that discovery. Using these four important questions in your early General Sketches will allow you to build a solid and complete skeleton for your story—upon which you can then begin layering all the other important parts. Stay Tuned: Next week, we’re going to talk about, Find the Heart of Your Story.